Waterproofing agent for the preparation of high quality mortars, renders and concrete. 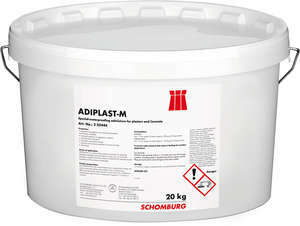 The addition of ADIPLAST-M reduces the risk of moisture damage and considerably increases the lifetime of structures. Always pre-blend well with the dry binder!